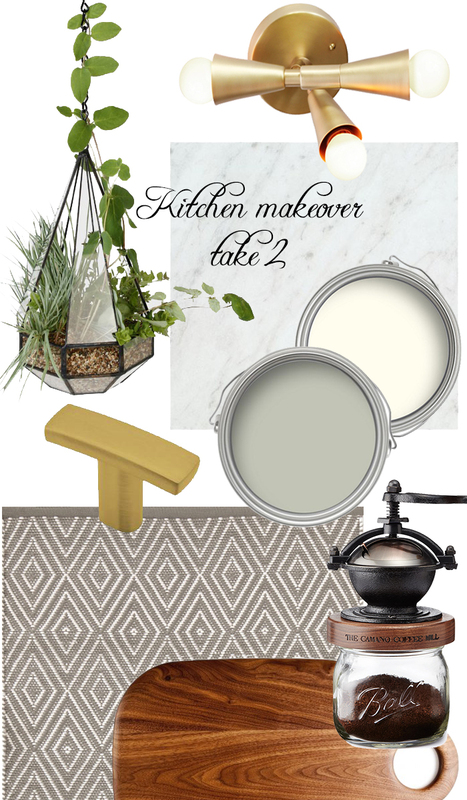 You may have wondered if I was just all talk on the mini kitchen makeover? Yes and no! When you're a renter, the tendency is to proceed very slowly when making an investment in the space. Not to mention, in tight quarters, any project is going to be fierce disruptive, so needs to be timed and planned impeccably. The original plan really relied on new floor tiles to inject personality and the cement tile I chose were completely on trend and would look great transitioning from the oak hardwood in the rest of my place. The problem is that tiling a floor is a huge investment (in practically every sense). Instead, I've decided to lead with paint, which is far cheaper and a job I can confidently do myself. 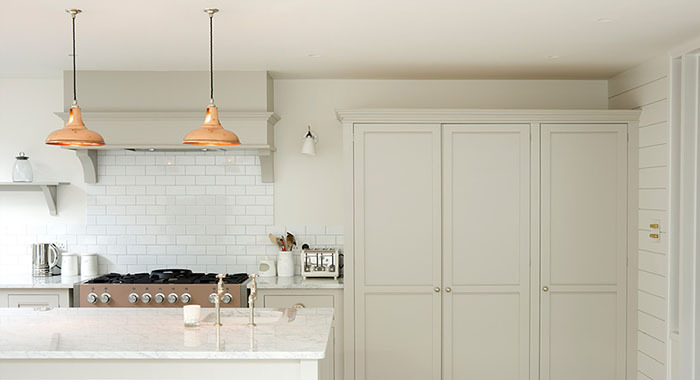 I've always loved sage green kitchens from Plain English - and this Devol kitchen has been in my inspiration folder for yonks, so that's a natural place for me to go. 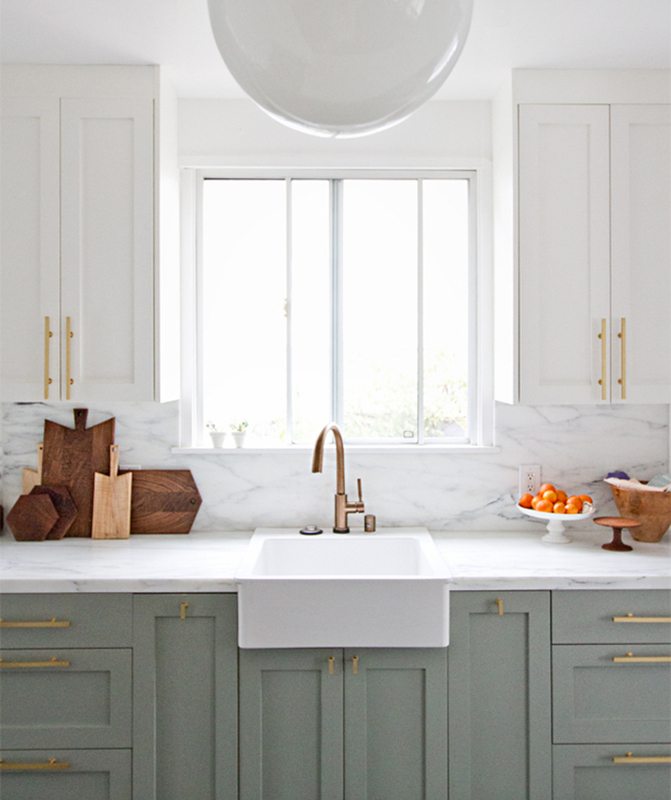 And I was doubly inspired by this kitchen over on Smitten Studio, which I'm shamelessly plundering for ideas. The brass hardware is the only on-trend decision I'm making, but I found a super affordable version at Home Depot so even if I hate 'em two year from now, I'll be okay about it. 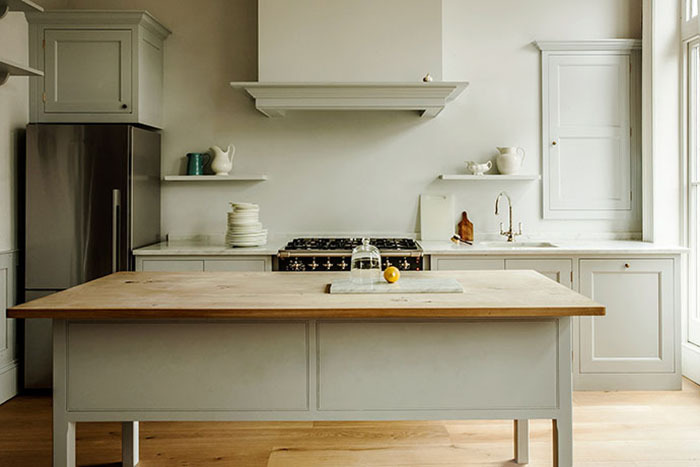 This leaves countertops: Butcher block is still a compelling (read: very affordable) option. But I'm going to first investigate some marble alternatives. I found this great post on Studio McGee (a blog I've found so many useful posts on lately!) so have some research to do. And what about the floors? Cheap again: I'm going to try an outdoor rug. They're made from polypropylene, so are very durable and washable -- ideal for a kitchen. I'm hoping this turns out to be a rental friendly option that I can live with (if not, no harm). Finally, to finish it off, plants galore, a shiny light fixture and warm wood accessories I already own to add dimension of warmth. I have to say, I'm feeling this scheme a lot more and - pending countertops - am a go on this!